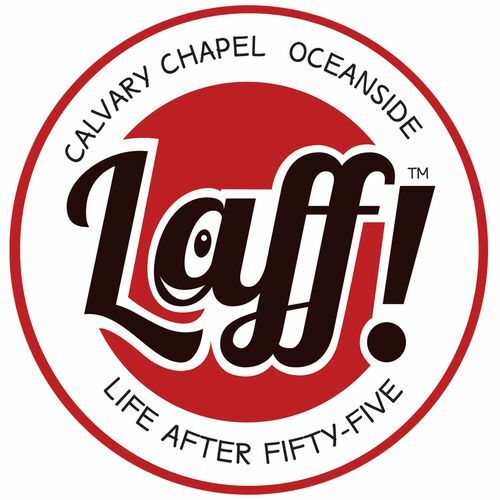 LAFF (Life After Fifty-Five)™ is the name of our Senior Ministry here at Calvary Chapel Oceanside. LAFF exists to serve those who are 55 years old or better. The LAFF ministry includes fellowship, outreach, Bible study, and service. At Calvary Chapel Oceanside, we love God, love each other, and love the lost. Of course, we love God in everything we do. One aspect of that love is the seniors Bible study that meets weekly to grow in the Word. We love each other through fellowship, consisting of planned activities such as meals, day trips and other group activities, and also opportunities for service. We love the lost by providing non-threatening opportunities to invite those who may not have a church home. Be sure to watch this site and the weekend bulletin for information on upcoming events. Get engaged with in-depth study of God’s Word every Thursday morning at 10:00 AM in the Praise Room. Grow in the grace and knowledge of our Savior Jesus Christ and enjoy the fellowship! For information contact Alan Chester at 714-715-4477.